By jj black — by jjblack recently published by les éditions slimbehemoth Sitting Still..
By jj black — by jjblack recently published by les éditions slimbehemoth Parks & Statuation book 1 from “Proof of..
By jj black — by jjblack recently published by les éditions slimbehemoth Follow The Yellow Brick Road from “Proof of Life..
By jj black — by jjblack recently published by les éditions slimbehemoth Floral Etude ..
By jj black — by jjblack recently published by les éditions slimbehemoth There is No Flying Dutchman Candid &..
By jj black — By jjblack recently published by les éditions slimbehemoth Tulip ..
By jj black — By jjblack recently published Lords Of The Ring Wrestling & The Crowds..... from “Proof of Life - A Visual..
By jj black — By jjblack recently published The Curious Coincidences Of Otto Brugge A conceptual photo (graphic) novel. An abstract mystery & a..
By jj black — By jjblack recently published Paris Postcards Images of iconic & not so well known Paris places & monuments in the styles of..
By jj black — By jjblack recently published Parisians Et Al Pt2 Portraits en passant of the people of Paris, both inhabitants & visitors. 200 + images. This..
By jj black — By jjblack recently published Parisians Et Al Pt1 Portraits en passant of the people of Paris, both inhabitants & visitors. 200 +..
By jj black — By jjblack recently published Les Amoureux Candid images of lovers in Paris, city of light & love. This is a limited edition of 150, each to be..
By jj black — by jjblack recently published Fernary Rites from “Proof of Life - A Visual History”, a complete catalogue of the art of Quebec..
By jj black — By jjblack recently published DÃ©shabillÃ©es naked portraits........ from âProof of Life - A Visual..
By jj black — By jjblack recently published Dea : Laksmi from “Proof of Life - A Visual History”, a complete catalogue of the art of Quebec..
By jj black — By jjblack recently published Dea : Kali from “Proof of Life - A Visual History”, a complete catalogue of the art of Quebec..
By jj black — By jjblack Country Life Images from rural Quebec in the 1970s..........from “Proof of Life - A Visual History”, a complete catalogue of..
By jj black — by jjblack A surreal series of deconstructed cityscapes resembling a kind of Blade Runner nightmare. 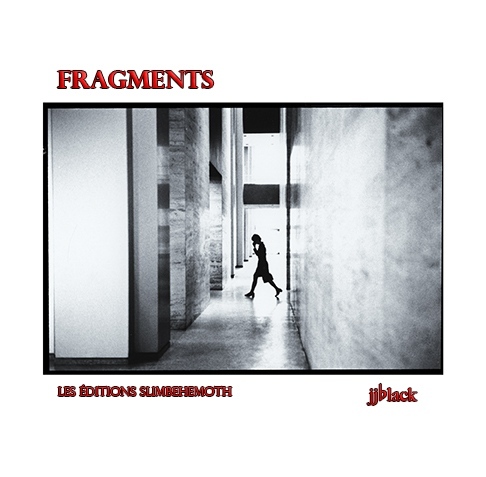 Fine Art..
By jj black — By jjback Recently published by Les Éditions Slimbehemoth CiteÌtion City Unseen............from âProof of..
By jj black — I'll be back in Paris from Sept 22 to Oct 21 with side trips to various places including Luxembourg,Le Havre,Orleans etc.Then from Oct 21 to..